The above picture of three over-lapping circles is from HERE. Donald Scott is a retired high school teacher and university professor who is currently president of the Common Cause Medical Research Foundation and adjunct professor of the Institute of Molecular Medicine. He has extensively researched neurosystemic degenerative diseases over the past five years and has authored many documents on the relationship between degenerative diseases and a pathogenic mycoplasma called Mycoplasma fermentans. His research is based upon solid government evidence. Donald Scott is a veteran of WWII and was awarded the North Atlantic Star, the Burma Star with Clasp, the 1939-1945 Volunteer Service Medal and the Victory Medal. There are 200 species of mycoplasmas. Most are innocuous and do no harm; only four or five are pathogenic. The Mycoplasma fermentans (incognitus strain) probably comes from the nucleus of the brucellosis bacteria. This disease agent is not a bacteria, and not a virus; it is a mutated form of the brucellosis bacteria, mutated with a visna virus, from which the mycoplasma, is extracted. Dr. Maurice Hilleman, chief virologist for the pharmaceutical company of Merck, Sharp and Dohme, stated that this disease agent is now carried by everybody in North America and possibly most people throughout the world. The mycoplasma used to be very innocuous. Only one person out of 500,000 would get multiple sclerosis; one out of 300,000 would develop Alzheimer’s; one out of 1,000,000 would develop Creutzfeldt-Jakob disease. Before the early 1980’s, nobody ever died of AIDS because it didn’t exist. The mycoplasma is also the disease agent in AIDS, and I have all the documentation to prove it. Between 1942 and the present time, biological warfare research has resulted in a more deadly and infectious form of the mycoplasma. They extracted this mycoplasma from the brucellosis bacteria, weaponized it and actually reduced the disease to a crystalline form. According to Dr. Shyh-Ching Lo, one of America’s top, top researchers, this disease agent, the mycoplasma, causes among other things, AIDS, chronic fatigue syndrome, multiple sclerosis, Wegener’s disease, Parkinson’s disease, Crohn’s colitis, Type I diabetes, and collagen-vascular diseases such as rheumatoid arthritis and Alzheimer’s. The mycoplasma enters into the individual cells of the body depending upon your genetic predisposition. You may develop neurological diseases if the pathogen destroys certain cells in your brain, or you may develop Crohn’s colitis if the pathogen invades and destroys cells in the lower bowel. Once it gets into the cell, it can lie there doing nothing sometimes for 10, 20 or 30 years, but if a trauma occurs like an accident, or a vaccination that doesn’t take, the mycoplasma can become triggered. Because it is only the DNA particle of the bacteria, it doesn’t have any organelles to process its own nutrients, so it grows by uptaking preformed sterols from its host cell, literally kills the cell, and the cell ruptures and what is left gets dumped into the blood stream. My conclusions are entirely based upon official documents: 80% are United States or Canadian official government documents, and 20% are articles from peer-reviewed journals, such as the Journal of the American Medical Association, The New England Journal of Medicine, and The Canadian Medical Association Journal. The journal articles and government documents complement each other. We also have a document from Dr. Shyh-Ching Lo which names the mycoplasma as a cause of cancer. Dr. Charles Engel who is with the National Institutes of Health, Bethesda, Maryland, stated at an NIH meeting on February 7, 2000, “I am now of the view that the probable cause of Chronic Fatigue Syndrome and fibromyalgia is the mycoplasma”. Many doctors don’t know about this mycoplasma because it was developed by the U.S. military in biological warfare experimentation, and it was not made public. This pathogenic mycoplasma disease agent was patented by the United States military by Dr. Shyh-Ching Lo, who was the top researcher for the military biological warfare research facility. I have the documented patent from the U.S. patent office. A LABORATORY-CREATED PATHOGEN BY THE U.S. MILITARY Researchers in the United States, Canada and Britain were doing biowarfare research with the brucellosis bacteria as well as with a number of other disease agents. From its inception, the biowarfare program was characterized by continuing in-depth review and participation by the most eminent scientists, medical consultants, industrial experts and government officials, and it was top secret. The U.S. Public Health Service also closely followed the progress of biological warfare research and development from the very start of the program, and the Centers for Disease Control (CDC), and the National Institutes of Health (NIH) in the United States were working with the military in weaponizing these diseases. These are diseases which have existed for thousands of years, but they have been weaponized which means they were made more contagious and more effective. And they are spreading. A program developed by the CIA and NIH to develop a deadly lethal pathogen for which humanity had no natural immunity (AIDS) was disguised as a war on cancer and was part of MKNAOMI (ref. Special Virus Cancer Program: Progress Report 8, prepared by National Cancer Institute, Viral Oncology, Etiology Area, July, 1971 and submitted to NIH Annual Report in May, 1971 and updated July, 1971). Many members of the Senate and House of Represent-atives do not know what has been going on. For example, the US Senate Committee on Government Reform had searched the archives in Washington and other places for the document titled The Special Virus Cancer Program: Progress Report No.8 mentioned above and couldn’t find it. Somehow they heard I had it, called me and asked me to mail it to them. Imagine. A retired school teacher being called by the United States Senate and asked for one of their secret documents! The United States Senate through their government reform committee is trying to stop this type of government research. All the countries at war were experimenting with biological weapons. In 1942, the governments of the United States, Canada and Great Britain entered into a secret agreement to create two types of biological weapons (one that would kill and one that was disabling) for use in the war against Germany and Japan, who were also developing biological weapons. They primarily focused on brucellosis, and they began to weaponize the brucellosis bacteria. In a genuine U.S. Senate Study unclassified on February 24, 1977, the title page of this government record reports that George Merck, of the pharmaceutical company, Merck, Sharp and Dohme (which now makes cures for diseases they at one time created), in 1946, reported to the Secretary of War in the United States that his researchers had produced in isolation for the first time, a crystalline bacterial toxin extracted from brucellosis bacteria. The bacterial toxin could be removed in crystalline form and delivered by other vectors (in nature they are delivered within the bacteria). But the factor that is working in the brucellosis is the mycoplasma. Brucellosis is a disease agent that doesn’t kill people; it disables them. But they found that if they had mycoplasma at a certain strength, actually ten to the tenth power, it would develop into AIDS, and the person would die from it within a reasonable period of time because it could bypass our natural human defences. If it was 108, the person would manifest with chronic fatigue syndrome or fibromyalgia. If it was 107, they would present as wasting; they wouldn’t die, and they wouldn’t be disabled, but they would not be that interested in life, they would waste away (ref. Dr. Donald MacArthur of the Pentagon appearing before a Congressional Committee, June 9, 1969, Department of Defence Appropriations, p.114, 129). Most of us have never heard of brucellosis because it largely disappeared when they began pasteurizing milk, which was the carrier. One salt shaker of this pure disease in a crystalline form could sicken the entire population of Canada. It is absolutely deadly, not in terms of killing the body, but in terms of disabling the body. The advantage of this crystalline disease agent is that it does not show up in blood and tissue tests because the bacteria has disappeared and only the pure disease agent remains. So the doctor thinks that it’s all in your head. About three years ago in Rochester, New York, a gentleman gave me a document and told me, “I was in the U.S. Army, and I was trained in bacteriological warfare. We were handling a bomb filled with brucellosis, only it wasn’t brucellosis; it was a brucellosis toxin in crystalline form. We were spraying it on the Chinese and North Koreans.” He showed me his certificate listing his training in chemical, biological, and radiological warfare. Then he showed me 16 pages of documents given to him by the U.S. military when he was discharged from the service. It linked brucellosis with multiple sclerosis and stated: “Veterans with multiple sclerosis, a kind of creeping paralysis developing to a degree of 10% or more disability within two years after separation from active service may be presumed to be service-connected for disability compensation. Compensation is payable to eligible veterans whose disabilities are due to service.” In other words, “If you become ill with multiple sclerosis, it is because you were handling this brucellosis and we will give you a pension. Don’t go raising any fuss about it.” The government of the United States, in this official document revealed evidence of the cause of multiple sclerosis, but they didn’t make it known to the public, or to your doctor. In a 1958 report, Drs. Kyger and Haden suggest “…the possibility that multiple sclerosis might be a central nervous system manifestation of chronic brucellosis”. Testing approximately 113 MS patients, they found that almost 95% also tested positive for brucellosis. We have a document from a medical journal which concludes that one out of 500 people who had brucellosis would develop what they called neurobrucellosis, in other words, brucellosis in the brain which settles in the lateral ventricles where the disease multiple sclerosis is basically located. A report from the New England Journal of Medicine, 1948, Vol.236, p.741 called “Acute Brucellosis Among Laboratory Workers” shows us how actively dangerous this agent is. The laboratory workers were from Camp Detrick, Frederick, Maryland where they were developing biological weapons. Even though these laboratory workers had been vaccinated, wore rubberized suits and masks, and worked through holes in the compartment, many of them came down with this awful disease because it is so absolutely and terrifyingly infectious. The article was written by Lt. Calderone Howell, Marine Corps, Captain Edward Miller, Marine Corps, Lt. Emily Kelly, United States Naval Reserve and Captain Henry Bookman. They were all military personnel engaged in making the disease agent brucellosis into a more effective biological weapon. Documented evidence proves that the biological weapons they were developing were tested on the public in various communities without their knowledge or consent. The government knew that crystalline brucellosis would cause disease in humans. Now they needed to determine how it spread, and the best way to disperse it. They tested dispersal methods for Brucella suis and Brucella melitensis at Dugway Proving Ground, Utah, June and September 1952. Probably, 100% of us now are infected with Brucella suis and Brucella melitensis. (ref. p.135, table 4 of Special Virus Cancer Program: Progress Report 8) . Another government document recommended the genesis of open air vulnerability tests, and covert research and development programs to be conducted by the army and supported by the Central Intelligence Agency. At that time, the government of Canada was asked by the government of the United States to cooperate in testing weaponized brucellosis, and Canada cooperated fully with the government of the United States. They wanted to determine (i) if mosquitoes will carry the disease and (ii) if the air will carry it. A government report stated that “…open air testing of infectious biological agents is considered essential to an ultimate understanding of biological warfare potentialities because of the many unknown factors affecting the degradation of micro-organisms in the atmosphere”. A report from The New England Journal of Medicine, August 22, 1957, p.362 reveals that one of the first outbreaks of chronic fatigue syndrome was in Punta Gorda, Florida, back in 1957. It was a strange coincidence that a week before these people came down with chronic fatigue syndrome, there was a huge influx of mosquitoes. The National Institutes of Health claimed that the mosquitoes came from a forest fire 30 miles away. When the forest fire broke out, the mosquitoes all said, “Well, let’s go over to Punta Gorda – there will be a bunch of people over there, we can have a picnic, and then we will go home”. The truth is that those mosquitoes were infected in Canada by Dr. J.B. Reed at Queen’s University. They were bred in Belleville, Ontario, and taken down and released in Punta Gorda. Within a week, the first five cases ever of chronic fatigue syndrome were reported to the local clinic in Punta Gorda, and it continued until finally 450 people were ill with the disease. The government of Canada established the Dominion Parasite Laboratory in Belleville, Ontario, and raised 100 million mosquitoes a month which were shipped to Queen’s University and certain other facilities to be infected with this disease agent. The mosquitoes were then let loose in certain communities in the middle of the night so they could determine how many people would become ill with chronic fatigue syndrome, or fibromyalgia, which was the first disease to show. One of the communities they tested it on was the St. Lawrence Seaway valley all the way from Kingston to Cornwall in 1984. They let out absolutely hundreds of millions of infected mosquitoes. Over 700 people in the next four or five weeks developed myalgic encephalomyelitis, or chronic fatigue syndrome. At the infamous Japanese Camp 731 in Manchuria, they contaminated prisoners of war with certain disease agents. They also established a research camp in New Guinea in 1942, and experimented upon the Fore Indian tribe, and inoculated them with a minced-up version of the brains of diseased sheep containing the visna virus which causes mad cow disease (Creutzfeldt-Jakob disease which is known to you as mad cow disease, but which was known to the Fore Indian tribe as kuru). About five or six years later, after the Japanese had been driven out, the poor people of the Fore tribe developed what they called kuru which was their word for wasting, and they began to shake, lose their appetites, and die. The autopsies revealed that their brains had literally turned to mush. They had contracted mad cow disease from the Japanese experiments. When World War II ended, the Japanese General Doctor who was in charge of biological warfare experimentations in Japan, Dr. Ishii Shiro, was captured. They gave him the choice of a job with the United States army or execution as a war criminal. Not surprisingly, Dr. Ishii Shiro chose to work with the United States military to demonstrate how they had created mad cow disease in the Fore Indian tribe. In 1957, when the disease was beginning to blossom in full among these Fore Indian people, Dr. Carleton Gajdusek of the National Institutes of Health of the U.S. headed down to New Guinea to to determine how the minced-up brains of the visna-infected sheep affected these people. He spent a couple of years in New Guinea studying the Fore tribe, wrote an extensive report on it, and won the Nobel Prize for “discovering” kuru disease (also known as mad cow or Creutzfeldt-Jakob disease) in the Fore Indian tribe in New Guinea. In 1953, the Americans developed a carcinogenic chemical which they wanted to test, but they didn’t want to test it in the United States so they flew over Russia, accidentally wandered off course, and sprayed this stuff. Many people started getting cancer. And the U.S. had some jokes about this. One American researcher, Dr. Maurice Hilleman of Merck, Sharp and Dohme, joked, “We are going to win the next Olympics because all the Russians are going to turn up with 40-pound tumours.” They thought it was a big joke. Next they said, “How about testing it in Canada?” In 1953, the U.S. asked the government of Canada if they could test this carcinogenic chemical over the city of Winnipeg. It was a big city with 500,000 people, miles from anywhere. They sprayed the chemical in a 1,000% attenuated form, which they said would be so watered down that nobody would get very sick. However, if people came to clinics with a sniffle, a sore throat, or ringing in their ears, the researchers would be able to determine what percentage would have developed cancer if it had been full strength. When we located evidence that the Americans had tested this carcinogenic chemical over the city of Winnipeg in 1953, and informed the government that we had this evidence, they denied it. However, finally, on May 15, 1997, a story out of the Canadian Press in Washington, D.C. by Robert Russo, published in the Toronto Star, stated that the Pentagon of the United States admitted that in 1953 they had obtained permission from the government of Canada to fly over the city of Winnipeg and spray this crap out, and it sifted down on kids going to school, housewives hanging out their laundry, and people going to work. US Army planes and trucks released the chemical 36 times between July and August 1953. The chemical used was zinc cadmium sulfide, a carcinogen. They got their statistics, which indicated that if it had been full strength, approximately a third of the population of Winnipeg would have developed cancers over the next five years. The Pentagon called a press conference to admit what they had done. One professor, Dr. Hugh Fudenberg, MD, who was nominated twice for the Nobel Prize wrote a magazine article which stated that the Pentagon has come clean on this because two researchers up in Sudbury, Ontario, Don Scott and his son Bill Scott had been revealing this to the public. The US Army actually conducted a whole series of simulated germ warfare tests in Winnipeg. The Pentagon lied about the tests to the mayor, saying that they were testing a chemical fog over the city, which would protect Winnipeg in the event of a nuclear attack. A report commissioned by US Congress, chaired by Dr. Rogene Henderson, lists 32 American towns and cities used as test sites as well. The AIDS pathogen was created out of a brucellosis bacteria mutated with a visna virus; then the toxin was removed as a DNA particle called a mycoplasma. They used the same mycoplasma to develop disabling diseases like MS, Crohn’s colitis, Lyme disease etc. In a United States congressional document of a meeting held June 9, 1969, the Pentagon delivered a report to Congress about biological weapons (described on page 129 of the document). The Pentagon stated, “We are continuing to develop disabling weapons.” Dr. MacArthur, who was in charge of the research said, “We are developing a new lethal weapon, a synthetic biological agent that does not naturally exist, and for which no natural immunity could have been acquired.” Think about it. If you have a deficiency of acquired immunity, you have an acquired immunity deficiency. Plain as that. AIDS. In laboratories throughout the United States and a certain number in Canada, including the University of Alberta, the U.S. government provided the leadership for the development of the AIDS virus for the purpose of population control. After they had it perfected, they sent medical teams from the Centers for Disease Control to Africa and other mid-eastern countries where they thought the population was becoming too large. They gave them all a free vaccination for smallpox. Five years after receiving this smallpox vaccination, 60% of them were suffering from AIDS. They tried to blame it on a monkey, which is nonsense. There was a report in the newspapers a while back about a professor at the University of Arkansas who claimed that while studying the tissues of a dead chimpanzee, she found the HIV virus. The chimpanzee that she had tested was born in the United States 23 years earlier. It had lived its entire life in a U.S. military laboratory where it was used as an experimental animal for the development of these diseases. When it died, its body was shipped to a storage place where it was deep-frozen and stored in case they wanted to analyze it later. Then they decided that they didn’t have enough space for it, so they said, “Anybody want this dead chimpanzee?” and this researcher from Arkansas said, “Yes. Send it down to the University of Arkansas. We are happy to get anything that we can get.” They shipped it down and she found the HIV virus in it. That virus was acquired by that chimpanzee in the laboratories where it was tested. Information is not generally available about this agent, because first of all, the mycoplasma is such an infinitely small disease agent. A hundred years ago certain medical theoreticians conceived that there must be something smaller than the bacteria and the virus, which are the most common living forms of disease agents. This pathogenic organism is so infinitely small that normal blood and tissue tests will not reveal the source of the disease. Your doctor may diagnose you with Alzheimer’s and he will say, “Golly, we don’t know where Alzheimer’s comes from. All we know is that your brain begins to deteriorate, cells rupture, the myelin sheath around the nerves dissolves, and so on.” Or if you have chronic fatigue syndrome, the doctor will not be able to find any cause for your illness with ordinary blood and tissue tests. This mycoplasma couldn’t be detected until about 30 years ago when they developed the polymerase chain reaction test in which they examine a sample of your blood, remove damaged particles, and subject that damaged particle to a polymerase chain reaction. This causes the DNA in the particle to break down. Then they place it in a nutrient which causes the DNA to grow back into its original form. If they get enough of it they can recognize what it is, and determine whether brucellosis or another kind of agent is behind that particular mycoplasma. If anybody in your family has myalgic encephalomyelitis, fibromyalgia, multiple sclerosis, or Alzheimer’s, you can send a blood test to Dr. Les Simpson in New Zealand. If you are ill with these diseases, your red blood cells will not be normal donut-shaped blood cells capable of being compressed and squeezed through the capillaries, but will swell up like cherry-filled donuts, which cannot be compressed. The blood cells become enlarged and distended because the only way the mycoplasma can exist is by uptaking preformed sterols from the host cell. One of the best sources of preformed sterols is cholesterol, and cholesterol is what gives your blood cells flexibility. If the cholesterol is taken out by the mycoplasma, the red blood cell swells up, doesn’t go through and the person begins to feel all the aches and pains, and all the damage it causes to the brain, the heart, the stomach, the feet and the whole body because blood and oxygen is cut off. And that is why people with fibromyalgia and chronic fatigue syndrome have such a terrible time. When the blood is cut off from the brain, punctate lesions appear, because those parts of the brain die. It will get into portions of the heart muscle, especially the left ventricle, and those cells will die. Certain people have cells in the lateral ventricles of the brain that have a genetic predisposition to admit the mycoplasma, and it causes the lateral ventricles to deteriorate and die and this leads to multiple sclerosis which will progress until they are totally disabled and frequently die prematurely. It will get into the lower bowel and parts of the lower bowel will die and cause colitis. All of these diseases are caused by the degenerating properties of the mycoplasma. About two months ago a gentleman in Sudbury phoned me and told me he had fibromyalgia. He applied for Canada Pension and was turned down because his doctor said it was all in his head and there was no external evidence. I gave him the proper form and a vial, and he sent his blood to Dr. Les Simpson of New Zealand to be tested. He did this with his family doctor’s approval, and the results from Dr. Simpson showed that only 4% of his red blood cells were functioning normally and carrying the appropriate amount of oxygen to his poor body, whereas 83% were distended, enlarged and hardened, and wouldn’t go through the capillaries without an awful lot of pressure and trouble. This is the physical evidence of the damage that is done. You can also ask your doctor to give you a 24-hour Holter ECG. You know, of course, that an electrocardiogram is a measure of your heart beat, which shows what is going on in the right ventricle, the left ventricle, and so on. Tests show that 100% of patients with chronic fatigue syndrome and fibromyalgia have an irregular heart beat. At various periods of time, during the 24 hours, the heart, instead of working happily away, going “bump-BUMP, bump-BUMP”, every now and again, it will go “buhbuhbuhbuhbuhbuhbuhbuhbuh”. The T-wave (the waves are called P, Q, R, S, and the last one is T) is normally a peak, and then the wave levels off and starts with the P-wave again. In chronic fatigue and fibromyalgia patients, the T-wave flattens off, or actually inverts. That means the blood in the left ventricle is not being squeezed up through the aorta and around through the body. My client did this test, and lo and behold, the test results stated: “The shape of T and S-T suggest left ventricle strain pattern, although voltage and so on is normal”. The doctor had no clue as to why the T-wave was not working properly. I analyzed the report of the patient who had been turned down by Canada Pension and sent it back to them. They wrote back and said, “It looks like we may have made a mistake. We are going to give you a hearing and you can explain this to us in more detail.” So it is not all in your imagination. There is actual physical damage to the heart. The left ventricle muscles do show scarring. That is why many people are diagnosed with a heart condition when they first develop fibromyalgia, but it’s only one of several problems because the mycoplasma can do all kinds of damage. You can also ask your doctor for a blood volume test. Every human being requires a certain amount of blood per pound of body weight, and it has been observed that people with fibromyalgia, chronic fatigue syndrome, multiple sclerosis and others do not have the normal blood volume their body needs to function properly. Doctors aren’t normally aware of this. This test measures the amount of blood in the human body by taking out five cc, putting a tracer in it, and then putting it back in the body. One hour later take out five cc again and look for the tracer. The thicker the blood and the lower the blood volume, the more tracer you will find. The analysis of one of my clients stated: “This patient was referred for red cell mass study. The red cell volume is 16.9 ml per kg of body weight. The normal range is 25 to 35 ml. per kg.” This guy has 36% less blood in his body than the body needs to function”. And the doctor hadn’t even known the test existed. If you lost 36% of your blood in an accident, do you think your doctor would tell you that you are all right, just take up line dancing and you will get over it? They would rush you to the nearest hospital and start infusing you with blood transfusions. These tragic people with these awful diseases are functioning with anywhere from 7 to 50% less blood than their bodies need to function. Professor Garth Nicholson, Ph.D., of the Institute for Molecular Medicine is one of the top experts on mycoplasma. He has been given an $8 million grant to study 450 Gulf War veterans, because Gulf War illness is caused by the mycoplasma. Dr. Les Simpson has done most of the research in detecting the disease by the polymerase chain reaction blood test. You may contact Dr. Nicholson at 15162 Triton Lane, Huntington Beach, Ca, 92649-1401, tel 714-903-2900. In summary, there is a disease agent that is called a mycoplasma. All of these neurodegenerative systemic diseases are caused by a particle of a bacterial DNA, a mycoplasma, that enters into the cells of living organisms and takes the cells apart, sterol by sterol, leaving scar tissue, and causing all the range of symptoms that you see in people with these diseases. 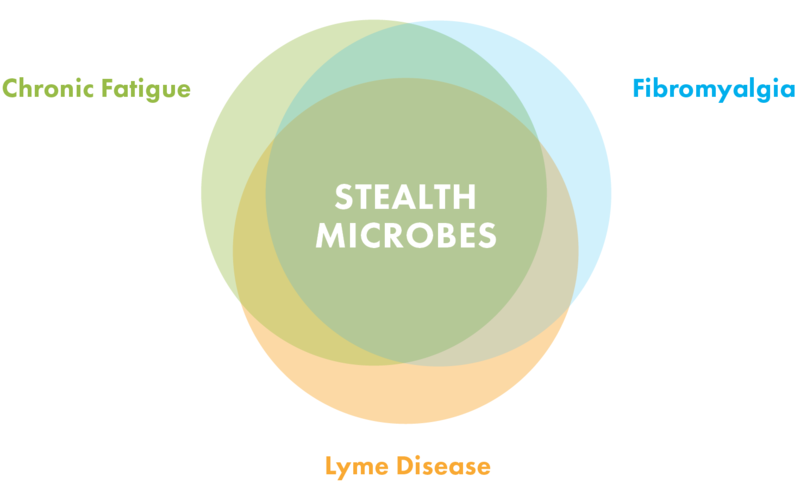 The military and the National Institutes of Health and the government are all dedicated to keeping this mycoplasma as covert as they possibly can. For more information and references, please refer to The Brucellosis Triangle and The Extremely Unfortunate Skull Valley Incident by Don Scott and William Scott, both available at Consumer Health Organization. Other recommended reading is Osler’s Web by Hillary Johnson and Emerging Viruses: Aids and Ebola by Leonard Horowitz. Don Scott also produces The Journal of Degenerative Diseases. You may contact Donald Scott at: 190 Mountain St., Ste. 405, Sudbury, Ontario, Canada P3B 4G2. 705-670-0180. Note: Dr. David Webster at Sudbury General Hospital, a wonderful person, with whom I have had conversations about these awful diseases can tell your doctor about the Blood Volume test. I would really be compelled to believe what this man has written if only there were some “works cited”. There is no evidence trail I can follow on my own to show his statements to be accurate claims.